The original, the bible. It remains the reliable source and the go-to guide for all subsequent guide book writers. Not easily found online, but usually to be found on the shelves of bookshops in Venice. 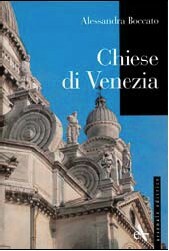 Describes itself as 'the definitive walking guidebook' to Venice, and that's no idle boast. 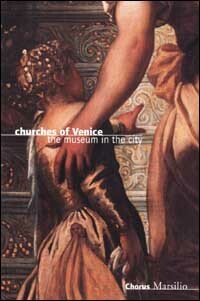 Also the only guide book that covers almost all of Venice's churches. The 2008 edition is a straight reprint of the Penguin edition of 1994. This was disappointing, I admit, but also handily reinforces the need for this here web-site. Although you might argue that the many hundreds of years before 1994 are more important than the fourteen since, and you'd have a point. It's plush and gorgeous and illustrated in full-colour throughout. It's also really a bit too heavy to carry around with you, but I have done so on a fair few trips now, because it's just so comprehensive and knowledgeable. I also like the way it occasionally eccentrically tells you a little too much about churches that don't really deserve such in-depth treatment. The standard of the translation is a bit erratic though, this being a book originally written in Italian. Published by Rizzoli in the US. The best of the 'ordinary' guides for reliability, opening times, and some quirky facts. It also - very wisely - recommends this website! Old, but handy for facts about church contents. I also bought, on a whim and online, another book by the same author called Venice Rediscovered which is six-years newer. But it turns out to be exactly the same book, unrevised, only in a much larger format. A stylish but comprehensive and accessible guide to Venice's most important buildings. Arranged by sestiere and including modern buildings. 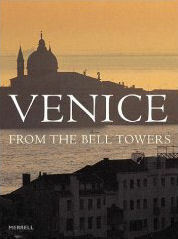 Covering all the buildings of Venice in terse paragraphs and with small black and white photos and stylish drawings. 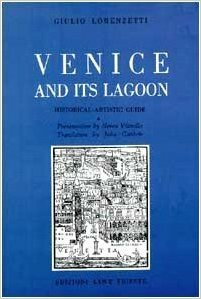 A pretty much essential guide to the fabric of Venice explaining, for example, the different patterns of the stone steps down into the water. Imperfectly translated (sometimes humourously so) and only dealing with the major churches, but still the only book of its kind - a recent guide to churches only. I have a stiff-backed edition, but this has now been replaced by a paperback edition with more and better photographs (right) and available in Italian and English. I've only ever seen it in bookshops in Venice. The guidebook to the churches that are run by the Chorus association and available from the cash desks inside these churches. Plushly produced and quite detailed, but pretty dry. Also the English translation is not good, often bordering on the incomprehensible. 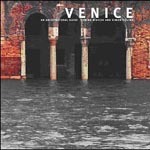 Not available in English, but an invaluable book about Lost Venice. It lists and describes all of the demolished churches. Some nice old photos and prints too. Bought for the spectacular photos taken from the towers, this it also has a bit of history for each church in the main sequence, and for many others at the end. There's a concentration on the campanili, of course, and some of the info and dates are, well, wrong, but there's still some useful stuff, from primary Italian sources by the look of it. I'm not sure why it's taken me so long to find and read this. Maybe the fact that it'll now set you back around £90 second-hand. It tells you everything that you didn't know you didn't know about, for example, who commissioned the altarpieces, why, and which churches they chose, and why. And that's only in the first few chapters. Plans, charts, details of lost works...it's truly a treasure trove. Philip II’s son Carlos only had four great-grandparents, where the rest of us have eight.